"Everything happens for a reason... but sometimes that reason is that you're stupid and you make bad decisions." I'm not turning this into a debate of pre-destination vs. free will, because to me, it doesn't really matter. You can grab your pitchforks all you want on that, but it doesn't effect my level of unworthiness next to Jesus Christ, Immanuel, God With Us. Being wayward, unguided, and unwise will lead to our destruction. Minutes ago before writing this, I just saw a link about a pastor of a Baptist church in Montgomery, Alabama. It's an article that grieves me and infuriates me. I'm not going to link it. You can look for it yourself. Yes.... let that sink in. It's going to hurt. Not going to lie. I was pissed. Then confused as to why. Then grieving. All within seconds. I'm saddened that this congregation was betrayed. I'm hoping that his open confession at the pulpit was a sign of repentance on his part. The pain will still sting. Severely. I fear for the health of the women he was with. Not just for the medical part, which in itself is horrible, but the shame they might feel later. I'm not condoning those actions, but grace needs to be deeper when the wound cuts this deep. Folly was allowed to creep into the minds of a few... and it infected the many. 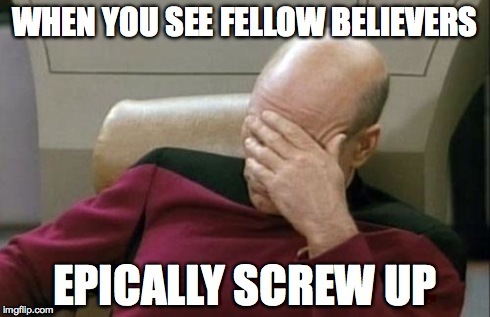 This is a fear I think most of us at feel, especially for me and my fellow classmates in seminary. How does this education prepare me for that? What protects me from making those same mistakes? And then I realize... the Wisdom of God... the Wisdom that made all things and will redeem the brokenness of all things, will guide us. Yesterday I complained about how much I was reading about wisdom, but then remembered that we need those reminders because we WILL FORGET, as this pastor did. What's going on in your heart, mind, and soul? When you experience or learn something, write it down. Think through it. What is the Holy Spirit doing to transform your life? I have put my trust in Jesus. I have no freaking clue where he's taking me in the next 30+ years, but I trust that He has me, and that He will continue to protect me and share His wisdom as I stumble through this life.